Well, here we go again. If the Republican-led General Assembly in 2017 focused on trying to exert its dominance over a freshly installed Democratic governor, then 2018 could bring the climax of legislative efforts to “reform” the courts. Translated, that means efforts to stack the state’s judicial deck in favor of Republican goals and priorities. The upshot could be a double-dose injection of conservative politics into a court system that is supposed to be independent and politically neutral. And that would be bad news for those who look to the courts to guard against the legislature’s power-grabs – including many North Carolinians struggling to overcome the disadvantages of poverty and race discrimination. We shouldn’t have to wait long to get a sense of how far and how fast legislative leaders hope to go with their court-change agenda. The House and Senate will convene at noon on Wednesday, Jan. 10, for a session in which judicial reform, Republican-style, is expected to be a hot topic. If the usual pattern holds, any specific bills to be considered – bills pegged by leaders as ready for prime time — won’t be unveiled until more or less the last minute. But in some respects, the stage already has been set. Legislators conspicuously have been weighing an overhaul of the state’s method of choosing judges. That process for decades has been through election by the voters. Progressive reforms made those elections non-partisan, but the legislature recently has restored party labels to ballots in judicial races – a change that has tended to benefit Republicans. Now, some top legislators are angling toward doing away with those elections altogether in favor of an appointive system, under the flag of “merit selection.” That’s actually an idea favored by many critics of judicial elections, which are vulnerable to manipulation by big-spending special interests and partisan demagoguery. But what if legislators gave themselves a major role in making the appointments – a role that even extended beyond confirming nominees? That seems to be the way the wind is blowing, if some decision-makers have their druthers. Whichever party were in charge, if the voters agreed in a referendum to amend the state constitution along those lines, it could knock the concept of judicial independence for a destructive loop. Sen. Phil Berger of Eden, that chamber’s leader as President Pro Tem, in October appointed ten Republican and five Democratic senators to a Select Committee on Judicial Reform and Redistricting. 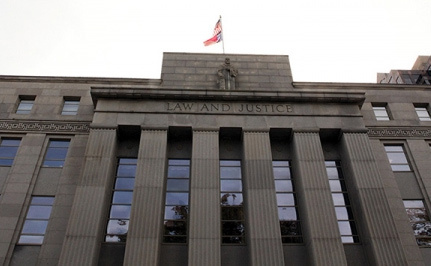 The panel has functioned as a test kitchen for various proposals that could drastically affect the make-up and operation of North Carolina’s courts. Prominent on its agenda has been a redistricting bill approved last fall by the House. Under House Bill 717, sponsored by Rep. Justin Burr of Albemarle, trial court districts across the state would be realigned in ways that appear to put Republicans on the inside track to win more seats. (The state Supreme Court and Court of Appeals, which have undergone other pro-Republican changes, wouldn’t be affected by the redistricting because their members are elected statewide.) Burr’s proposal has been panned by judges’ organizations and by the state’s elected district attorneys, who also would be covered. There might be grounds for examining the boundaries of judicial districts that haven’t been adjusted while the state’s population has grown and shifted. It’s also predictable that sitting judges who would end up having to run against each other would object. But the plan smacks of efforts to fix something that isn’t broken – or is broken only in the eyes of Republicans who want to put more of their number on the bench. As if a party label were a valid means of finding well-qualified judges to preside over all the matters that come before the superior and district courts, from murders to contract disputes to child-custody cases to drunken-driving charges. When the Senate committee met on Dec. 13, it heard from an attorney who has represented the Republican legislative leadership. Cooper sent Donald Stephens, recently retired as senior resident judge in Wake County Superior Court, to testify on his behalf. But Stephens wasn’t allowed to speak on the spurious grounds that he doesn’t actually work for the governor. The committee later decided to accept the judge’s written comments for the record. Stephens went on to decry another disruptive change foisted on the judicial branch: elimination of primary elections this year. The excuse for that move was that voting district boundaries are in flux and that candidates might not have time to file for primary elections in the spring. But the result will be crowded general election ballots in which a winner might receive not much more than 20 percent of the vote, as occurred in a 2014 Court of Appeals race held under similar conditions. Stephens could have mentioned another move targeting the courts whose potential for disruption is nothing short of huge. Sen. Bill Rabon of Southport, a top figure in the Senate hierarchy, is sponsoring a measure amending the constitution so that judges must run for election every two years – a tremendous drain on their time and energy that of course would affect their job performance as well as the pool of potential candidates. That bill, S.B. 698, hasn’t yet advanced, and there’s speculation it’s being used as a cudgel to persuade judges to go along with an appointment scheme. All of which serves to thicken the plot as legislators prepare to return to Raleigh. At the Senate committee’s Jan. 3 meeting, different approaches to merit selection were outlined. The so-called “Purple Plan” seemed to be the one that had the most support. The discussion chiefly served to highlight the complexities of coming up with a workable system; Democratic members were understandably skeptical. The only decision was to keep grinding on the topic in coordination with the House. Whether that effort will yield something to be voted on during the upcoming session is anybody’s guess, although committee leaders downplayed that prospect. It’s hardly unusual for lawmakers of either party to favor the selection of judges they regard as philosophically compatible. Yet it crosses a worrisome line when selection methods are altered with an eye toward turning judges into partisan rubber stamps. The same can be said about changes in the make-up of courts that are designed to put more “friendly” judges in office. North Carolina’s judiciary faces both kinds of risks – not surprisingly, given that the Republican Party’s overall strategy apparently hinges on securing favorable treatment in the nation’s courts by whatever means are available. That has included supporting President Trump’s nomination of candidates for the federal bench manifestly unqualified either by lack of suitable experience or by a record of no-holds-barred partisanship. It’s a truism that no means of choosing judges is perfect. Elections can be skewed by secretive contributions and undermined by public apathy. Appointive systems can be exploited for cynical partisan gain. It’s fair to assume that any selection method, including North Carolina’s current one, can be improved. What’s essential for the health of our democracy – a health that seems increasingly fragile – is for those who set the rules to act out of a genuine respect for the judiciary’s role as referees in the often messy process of determining what our laws require and whether or not those laws are being followed. The Council of Churches’ stance on the kind of court-related issues now before our legislature is driven plainly and simply by a desire to see justice done for everyone in our society, whatever their standing, and by a belief that our constitutions, state and federal, provide effective templates for achieving that justice. Constitutions of course can be amended, but changes shouldn’t be driven by partisan expediency. Any moves that further undermine North Carolina’s judicial system or that place it more firmly under the control of a reckless legislature have to be viewed as contrary to the Council’s overriding mission, rooted in the faith that binds us – to press for a state where every person is treated equally before the law and enjoys an equal opportunity to live a full and rewarding life. 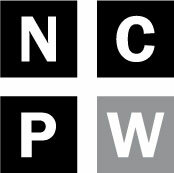 Steve Ford, former editorial page editor at Raleigh’s News & Observer, is now a Volunteer Program Associate at the North Carolina Council of Churches.